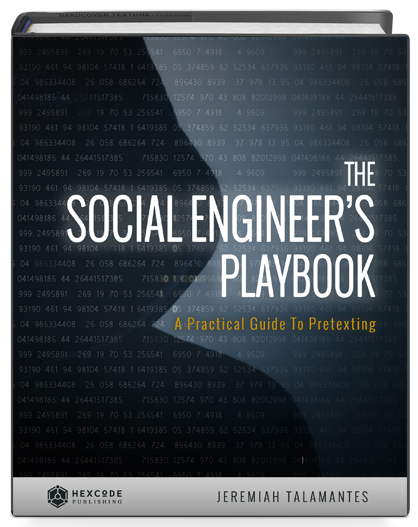 The Social Engineer's Playbook is a practical guide to pretexting and a collection of social engineering pretexts for Hackers, Social Engineers, and Security Analysts. Build effective social engineering plans using the techniques, tools and expert guidance in this book. Learn valuable elicitation techniques, such as: Bracketing, Artificial Ignorance, Flattery, Sounding Board, and others. This ebook covers an introduction to tools, such as: Maltego, Social Engineer Toolkit, Dradis, Metasploit, and Kali Linux among others. Crucial to any social engineering test is the information used to build it. Discover the most valuable sources of intel and how to put them to use. Several Tried and True Pretexts to Use As Your Own. Get It Today.